IDW's Library of American Comics launches its new oversized hardcover "Champagne Edition" series with what historians and critics consider one of the essential masterpieces of comic strip art, Cliff Sterrett's Polly and Her Pals. 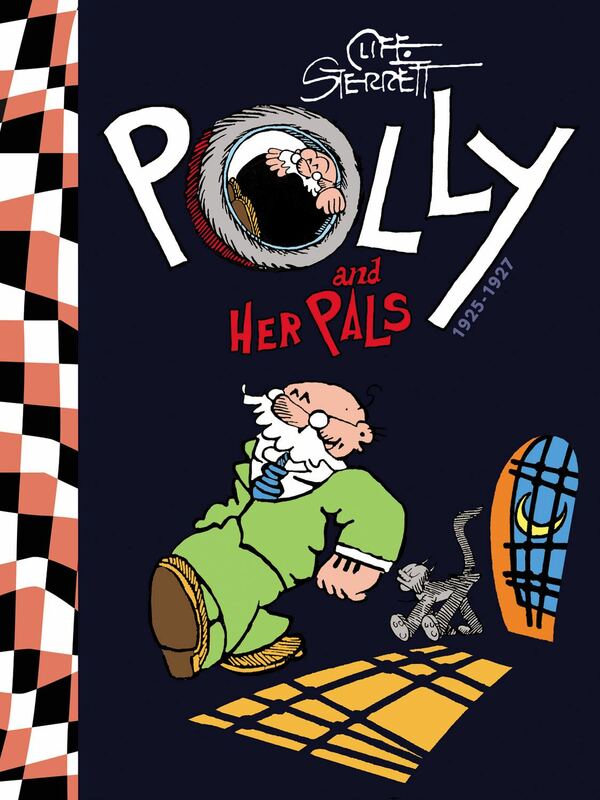 Polly and Her Pals: Complete Sunday Comics, 1925-1927 reproduces every one of Cliff Sterrett's dynamic full-color Sunday pages from 1925 to 1927 in a large 12" x 16" hardcover format so that it can be fully appreciated. The pages also include Sterrett's topper strips, Damon and Pythias and Dot and Dash. Edited by Dean Mullaney, the book contains the detailed background and biographical material that helped earn The Library of American Comics the prestigious Eisner Award. The cover design is by two-time Emmy winner Lorraine Turner, who teams up with Mullaney on the overall book design.